On Friday, April 5, 2019, Google Arts & Culture launched Kansas City – Google Arts & Culture’s first online exhibition featuring an American city. The project brings together collections, stories and 360-degree tours from 15 renowned Kansas City institutions, including the Kauffman Center for the Performing Arts. The partnership also features Google Arts & Culture’s Art Camera – a custom device that takes hundreds of close-up images, revealing a level of detail hidden from the naked eye. This means Helzberg Hall, Muriel Kauffman Theatre and Brandmeyer Great Hall can now be viewed in an interactive 360-degree gigapixel-picture. 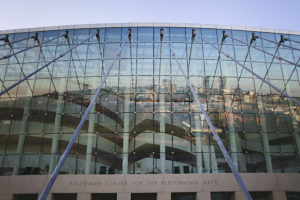 Performances at the Kauffman Center: featuring information on the 300+ performances the Kauffman Center hosts per year (including the Kauffman Center Presents series, Kansas City Symphony, Kansas City Ballet and the Lyric Opera of Kansas City). The Construction of the Kauffman Center: an exclusive look into the five-year construction of the Kauffman Center from groundbreaking to grand opening. Architecture Highlights: an in-depth look at the Kauffman Center’s architectural features both inside and outside of the facility. 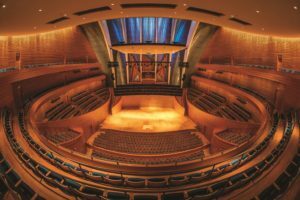 The King of All Instruments: a showcase of the Julia Irene Kauffman Casavant Organ, Opus 3875, one of the finest performance organs in the country and the visual centerpiece of Helzberg Hall at the Kauffman Center. You can experience Kansas City and the Kauffman Center for the Performing Arts by downloading the Android or iOS app or visiting Google Arts & Culture. Open Doors School Matinees Serve More Than 5,000 Students Across the Kansas City Metro During 2018-2019 School Year. 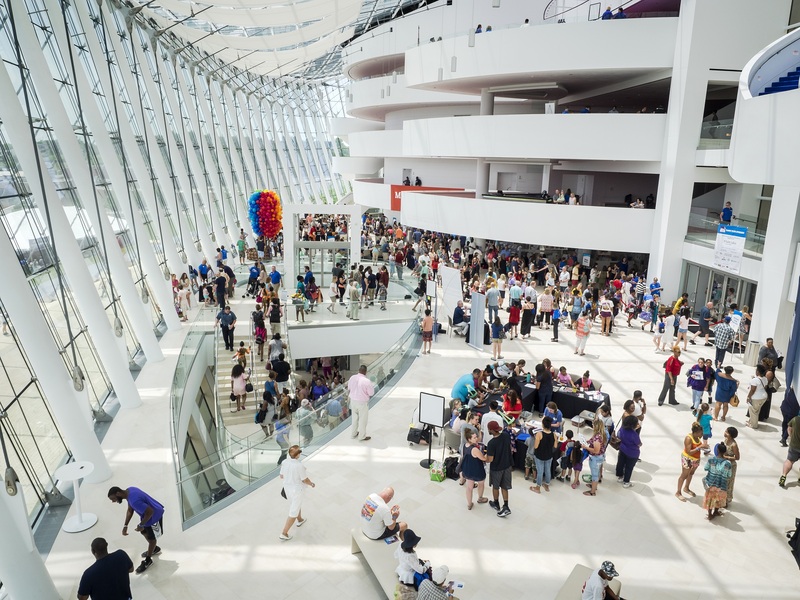 Kauffman Center for the Performing Arts is passionate about providing youth in our community opportunities to experience high quality performing arts, learn about the facility, and even plan for a future in the arts. 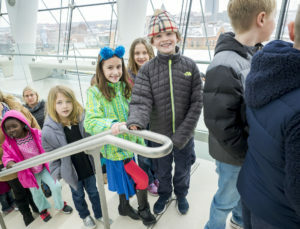 Through the Open Doors program, students in 19 school districts and more than 35 schools have attended this year’s four school matinees: Black Violin, a hip-hop string instrument duo from Florida, and three National Geographic Live events, including Ronan Donovan, Mark Synnott, and Kara Cooney. More than 1,600 students enjoyed Black Violin in October 2018 while over 3,500 students attended the three National Geographic Events. Teachers and chaperones commented that these presentations provide opportunities for their students to learn and spark discussions outside the classroom. “[My students] had so much fun and loved all the energy. [Black Violin] did such a nice job talking about dreams, stereotypes, and how we can change things through music, or how music helps to break down barriers. Here you have a crowd from all backgrounds, sharing the same wonderful experience and getting along. It was great,” said Parker Stanley of South Valley Middle School in Liberty, Missouri. Educators and administrators also appreciate the low ticket prices offered through the Open Doors school matinee program. While the tickets initially cost $5 per person, the Open Doors Community Tickets initiative pays for a portion of each ticket bringing the expense down to $2 per student and chaperone. Additionally, the Transportation Fund provides schools with the opportunity of eliminating or reducing the cost of transportation to and from the matinees. Ultimately, the Open Doors program strives to make these experiences affordable for schools across the Kansas City metro. “With Open Door Transportation, we don’t have to charge our students $5 for a bus fee to pay for gas and our bus driver,” says Shauna Townsend, Music and Band Teacher at Clinton Christian Academy. As a result, more families and students can afford to go on the field trip, she says. 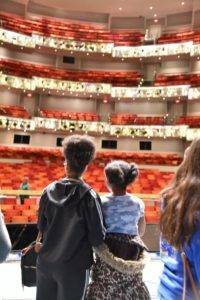 As the school year comes to a close, it is time to prepare for the 2019-2020 school year of matinees at the Kauffman Center. Next year’s first matinee will be Jack Hanna’s Into the Wild Live! 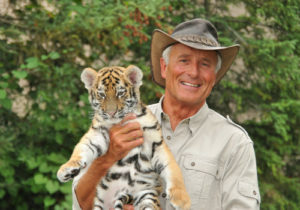 coming on October 1, 2019 at 10:30 a.m.. Jack Hanna, America’s most beloved zoo keeper, will bring his favorite furry friends to Kansas City. Students will have the chance to meet the animals and hear their stories during the matinee. Reservations for this matinee, and the National Geographic Live series will open up in May 2019. To stay up to date on Open Doors opportunities, be sure to sign up for the Kauffman Center’s Educator email list. Visit our School Field Trips page for more details. This Mother’s Day, Sunday, May 12, the Kauffman Center for the Performing Arts and Premier Partner Saint Luke’s Health System will present “Music from the Heart,” a special concert and free community event. 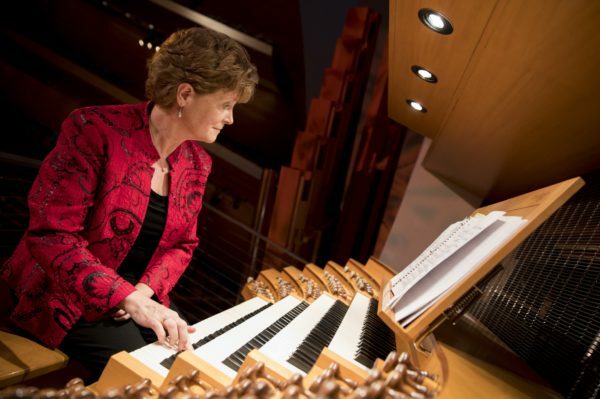 The concert takes place Sunday, May 12 at 4 p.m. in Helzberg Hall and features the Kauffman Center’s spectacular pipe organ. Jan Kraybill, organ conservator for the Kauffman Center, has curated a selection that illustrates many shades of love. Compositions from Bach to The Beatles touch on love of family, country, romance and peace. Kraybill will perform on the Julia Irene Kauffman Casavant Organ, Opus 3875, one of the finest concert hall organs in the nation. The free concert is a Mother’s Day gift to the community in celebration of the 25th anniversary of the Saint Luke’s Muriel I. Kauffman Women’s Heart Center. 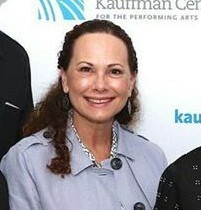 Prior to the performance, Saint Luke’s will present Julia Irene Kauffman, Chairman of the Board for the Kauffman Center for the Performing Arts, with the Visionary Award in recognition of her leadership, dedication and support to advance women’s heart health in Kansas City by creating a resource that is a center of excellence for the community over its 25 year history. Tickets for this event are free but reservations are required. Free tickets will be available to the public at 10 a.m. Friday, April 5, through the Kauffman Center Box Office at (816) 994-7222 and online at www.kauffmancenter.org. 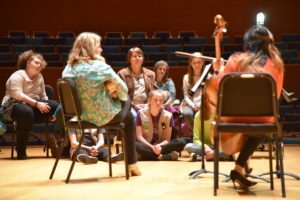 Fifty local Girl Scout Cadettes visited the Kauffman Center for the Performing Arts for their first-ever “SPARK the Arts!” event. 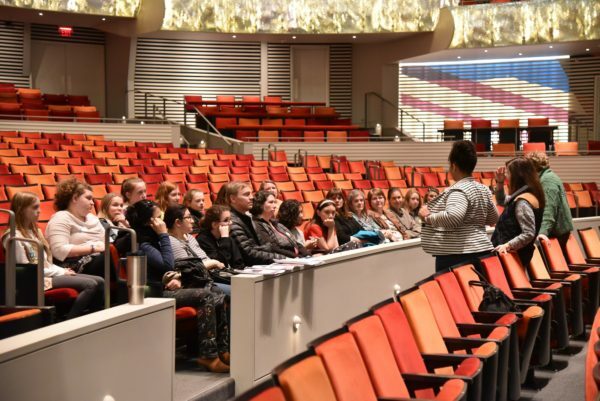 March 16, 2019 – In collaboration with the Kauffman Center’s resident arts organizations (Kansas City Ballet, Kansas City Symphony and Lyric Opera of Kansas City), Girl Scouts senior cadettes and accompanying adults got to hear about the career paths of working women at the Kauffman Center. 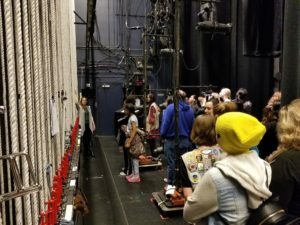 In addition, the scouts learned about all the behind the scenes work and details that go into creating performances at nonprofit arts organizations. 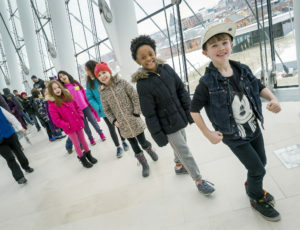 The Kauffman Center’s Open Doors Spotlight on Youth initiative connects youth artists and future art professionals with the Kauffman Center’s staff and stages. 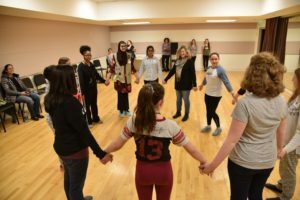 In combination with the “SPARK the Arts!” program, the Girl Scouts of NE Kansas & NW Missouri hope to enlighten young cadettes on career opportunities in the arts as they enter into the pivotal years of their education and future career planning. Stephanie Brimhall, Education Manager, spoke on careers for women within an orchestra. The presentation took place on stage in Helzberg Hall and included a performance by an all female string quartet followed by a Q&A for the girls. 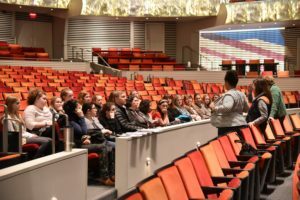 Linda Ade Brand, Director of Education, spoke on set design followed by a behind the scenes tour of Muriel Kauffman Theater in anticipation for the Lyric Opera’s opening night performance of Così fan tutte later that evening. April Berry, Community Engagement Manager, spoke on professional careers for dancers, dance instructors and choreographers followed by an improvised dance session with the girls. Joanna Polley, Community Outreach Supervisor, spoke on marketing campaigns and developing promotional social media posts. The girls were able to build their own social media campaign for an upcoming performance and tested their Instagram photo-taking abilities. They also found out how to get involved in this year’s Future Stages Festival. 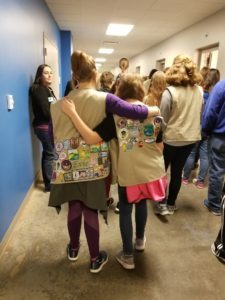 All photos featured are provided by the Girl Scouts of NE Kansas & NW Missouri. 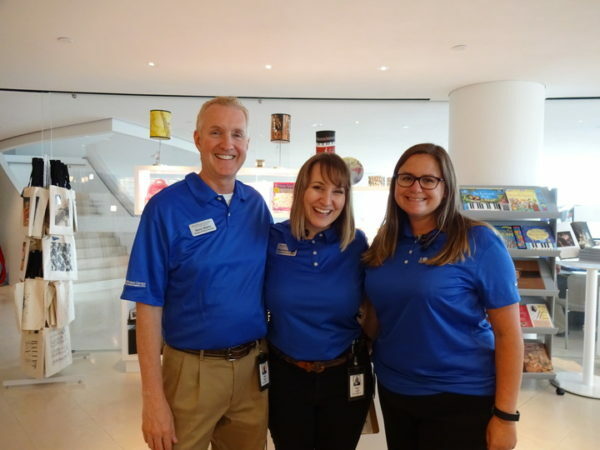 Kauffman Center staff members, Barry, Mary Maxine, and Jenny, help out at the annual Future Stages Festival. Kauffman Center is interrupting your regularly scheduled programming to introduce a few hardworking employees in anticipation of Employee Appreciation Day on March 1. 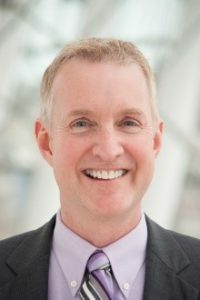 Below are some details about some of the people behind the programming, the curtains, and the productions at the Kauffman Center for the Performing Arts. 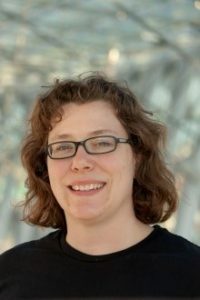 First, meet Joanna Polley, the Kauffman Center’s Community Outreach Supervisor. She is largely focused on managing and growing the Open Doors program which provides Kauffman Center access opportunities for local schools, social service agencies, students, and families across the KC Metro. Click here to learn more about the Kauffman Center’s Open Doors program. The second employee under the spotlight is Trisha Drape, Development Manager of Individual Giving. She assists with various membership and fundraising efforts including Spotlight, Spotlight Premier and Adventure Circle members. She also communicates directly with generous donors about their support and accommodates requests they have to make their experience at the Kauffman Center extraordinary. Click here to learn more about becoming a Kauffman Center Spotlight member! The next hardworking staff member is Barry Myers, Director of Patron Services. For Barry, it’s all about people, people, people! He oversees/is responsible for 31 full and part-time staff, 500+ volunteers and 400,000+ patrons annually. He’s a coach, mentor, advocate, listener, and problem-solver. Meet Donna Miller-Brown, a Kauffman Center Production Manager. She acts as a liaison between productions and the Center, making sure performers have everything they need for a successful show. Donna loves to share some memories from her time working in production management, including a Broadway show that needed the entire stage covered in plastic for their water effect, and once, Carol Burnett needed 50 Casa Blanca lilies in a bowl on stage for a gag. 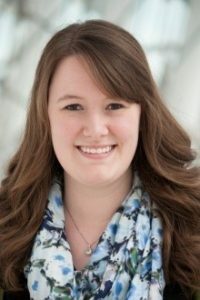 The final staff member is Jennifer DeFreece, Volunteer Manager. She oversees the 500+ Kauffman Center volunteers! 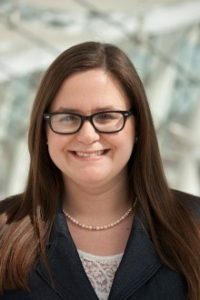 Her position plays a key role in the Kauffman Center’s ability to staff performances and events, a function that contributes significantly to providing an exceptional patron experience. Click here to learn more about the Kauffman Center’s volunteer program! Though there are only a few stories shared here, everyone that contributes to the success of this beautiful building is greatly appreciated. Because of the men and women who do what they do so well, the Kauffman Center can run as smoothly as possible. Happy Employee Appreciation Day!